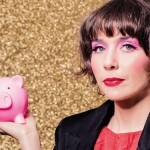 At first glance in the Fringe Guide this show might look like another business seminar spoof but that is only a small part of a stunning, beautifully structured show about the inequalities of wealth between women and men from the general experience, gradually working its way deep down to the very personal. It is always a joy to discover a new talented comic performer, but Elizabeth Davie is something else, she has definite star power. Smart, brilliant at both physical comedy and stand up, good character work and not a bad puppeteer. She has created a beautifully arrogant spokesperson for the Super Woman Money Program – which is a real actual thing. I received the email with lame saving tips from my Superannuation fund and when I got to the tip ‘Avoid Divorce’, I thought WTF is this crap?? So did Elizabeth obviously and turned it into a smashing Festival show. I found it not only hilarious fun but quite brave of Elizabeth to name her show after the thing she is lampooning. Elizabeth’s Super Woman Money Program is beautifully formed from four major interwoven strands that have come from her real life experience. There is her spokeswoman representing the programs for women run by Superannuation companies, her personal stand up comedy about the insecure life of a struggling artist with a HUGE education debt (many in the audience could relate to this! ), the adorable and simple puppetry that was the voice of her email inbox and finally a story. Another huge inspiration for this show was Jane Gilmore’s The Cost of Womanhood and Elizabeth makes a rather brave decision to stop the momentum of the hilarious show to read the entire story. There are no laughs here, the audience is silenced as it goes on the journey with Elizabeth. Another brave decision is to open and close the show by singing (badly) along with Shirley Bassey. We finally discover a shortfall in Elizabeth’s broad talent. But somehow, here the lack of singing ability is not a big problem, it works because it is more like primal screaming; opening the show as an ironic cry of help from a poor player on the stage from a high status character (Hey Big Spender) and the closing song (This is My Life) as a howl of defiance and pride from herself on behalf of us all. 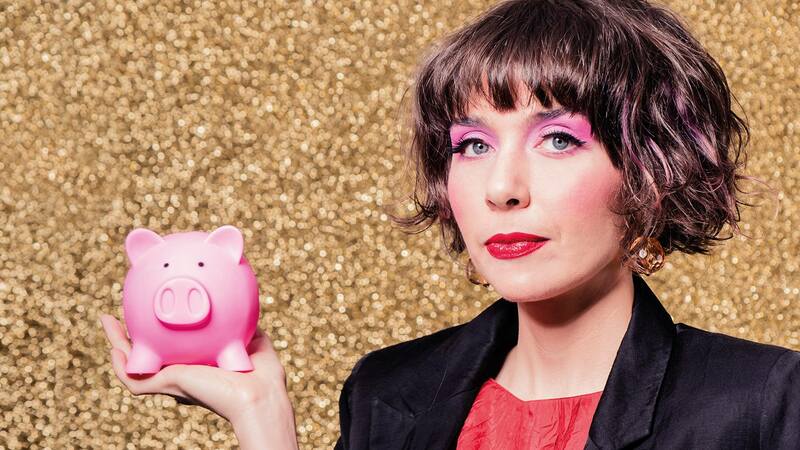 Sadly this fantastically joyful feminist comedy show had a very short run at Melbourne Fringe, particularly as so much work has obviously gone into it. This was everything a great Fringe show should be, a brilliant performer with bags of potential, a show that is wildly entertaining and hilariously funny using different forms of performance, with political nuance that lives with the audience long after the show has ended.